Robert Beno Cialdini (born April 27, 1945) is the Regents' Professor Emeritus of Psychology and Marketing at Arizona State University and was a visiting professor of marketing, business and psychology at Stanford University, as well as at the University of California at Santa Cruz. He is best known for his 1984 book on persuasion and marketing, Influence: The Psychology of Persuasion. The book has sold over three million copies and has been translated into thirty languages. 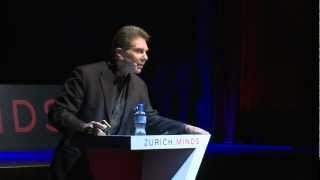 In this talk Cialdini talks through psychological tools of influence. He is a master of persuasive techniques and gives specific examples of applications of these tools.